Amarone is a style of Valpolicella wine. The Valpolicella region is located north of Verona, bordering Lake Garda to the west and by the Lessini Mountains to the east and north. There are 4 styles of winemaking for Valpolicella: Amarone della Valpolicella DOCG, Recioto della Valpolicella DOCG, Valpolicella Ripasso DOC and Valpolicella DOC. Valpolicella DOC is the lightest bodied of these wines, Valpolicella Ripasso DOC is a medium-bodied wine, Amarone della Valpolicella DOCG is a full-bodied wine, and Recioto della Valpolicella DOCG is a sweet red wine. Since the wines are all made from the same grapes blend of native varieties, the main discriminating factor to mark out them is the different winemaking technique. 97% of the grapes used for Valpolicella wines are indigenous varieties; primarily Corvina (57%), Rondinella (21%), and Corvinone (13%). Amarone della Valpolicella DOCG is made by partially drying the grapes after they have been picked. The process takes approximately 120 days and concentrates the juices in the grapes and increases skin contact. After 120 days, in January or February, the partially dried grapes are pressed then fermented at a cool temperature. The result is a full-bodied wine with low acidity. Since 1973, Masi has collaborated with the Conti Serego Alighieri family, descendants of the poet Dante, on their estates in Valpolicella. It all began we are told in 1353 when Dante’s son, Pietro Alighieri acquired the Casal dei Ronchi vineyard in the Valpolicella Classica region. Twenty-one generations of Dante’s descendants have lived on the estate. The winery is known for the use of the Molinara grape (they have a specific clone) and Corvina grapes, and the use of cherry wood casks for ageing their red wines. 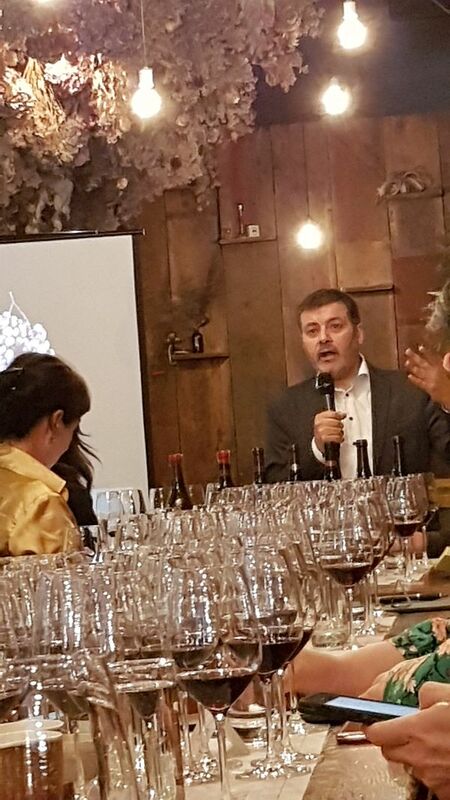 Mr. Raffaele Boscaini, Wine Ambassador and Marketing Director for Masi led us through a tasting of these wines and provided background information about the wines and vintages. It was very interesting. Masi Mazzano Amarone della Valpolicella Classico DOC 2009 – Mazzano is another vineyard in the Negrar commune. This vineyard has been known for its quality since the XII century. It is another wine produced in limited quantities in the best years. This wine is opaque ruby with garnet colours. Very light intensity nose showing raspberries and red fruits. Full body, dry, with medium minus acidity and firmer tannins. Dark fruit and raspberry flavours along with a touch of sweet spices. A firm wine. These wines are all top quality as you can see by my star ratings. I was amazed at the longevity of these wines, especially the 1990 vintage, which still has a few more years of ageing potential. I’d suggest purchasing a few bottles of the 2012 Costasera which is now currently available in the market, and any bottles of these other wines if you come across them. 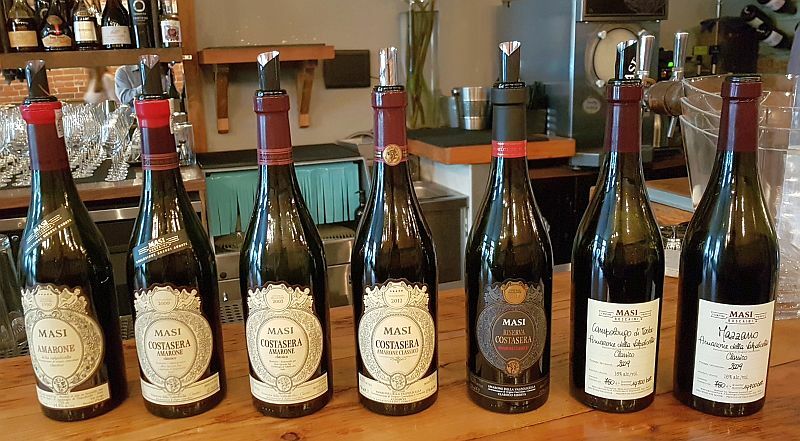 Thank you to Wildebeest Restaurant for hosting this tasting and providing us with a variety of small dishes to try with these and other wines.